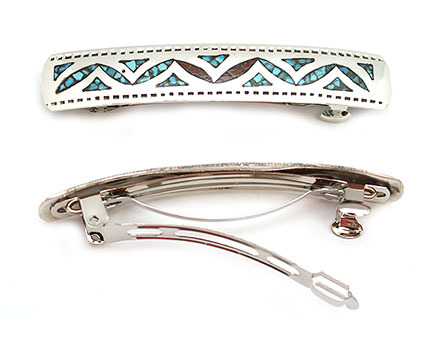 Sterling silver barrette with turquoise and coral chip inlay design. They measure 3" wide by 1/2" long. Patterns and stone placements will vary. They are hand crafted and inlaid by Joleen Yazzie. 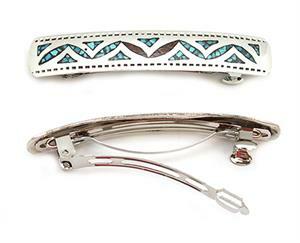 Barrette backs measure 1 3/4" long. Sold each not in pairs.